Remind those around you to always Choose the Right with this vinyl decal. Easy to apply. This product will stick to most surfaces. As such, it will not remove cleanly, so please plan accordingly. Available in Black, White, Royal Blue, Navy Blue or Red. Sizes listed are approximate. 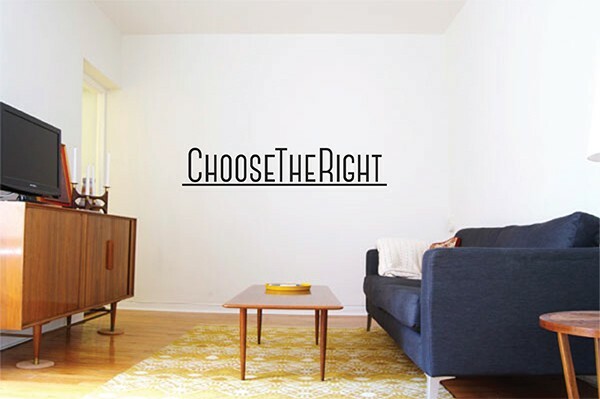 Remind those around you to always Choose the Right with this vinyl decal.